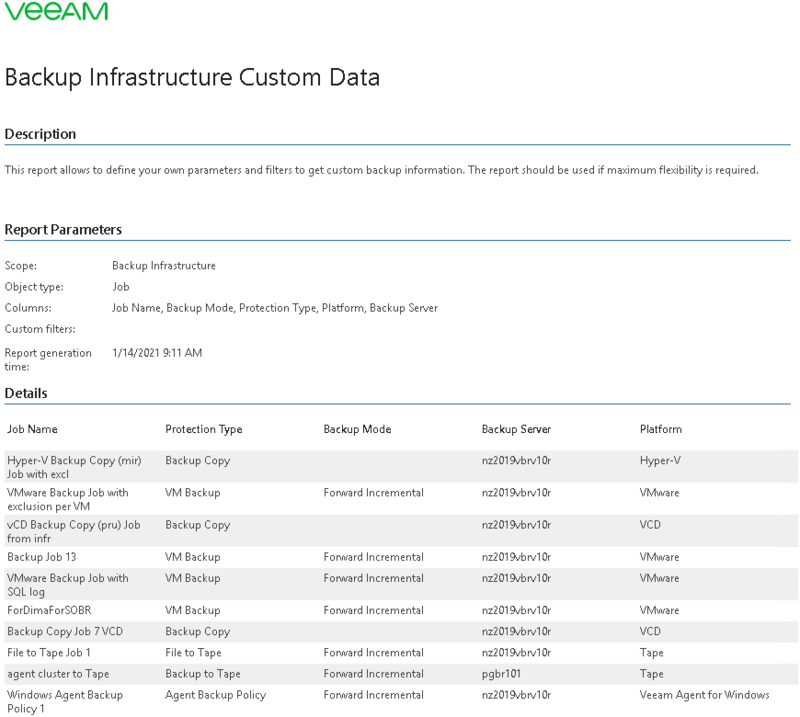 This report features a collection of custom properties for Veeam Backup & Replication objects, including backup server, backup job and VMs. The report helps you analyze data protection aspects not covered by Veeam Backup & Replication reports. Use the advanced collection of Veeam Backup & Replication object properties to create custom reports that display key aspects of the backup infrastructure and data protection operations. Object type: defines a list of Veeam Backup & Replication objects to analyze in the report (Backup Server, Backup Job, Virtual Machine, Computer). Columns: defines configuration properties to analyze in the report. The list of available properties will depend on the selected object type. Use the Filter field to search for the necessary properties by name. Note that the number of selected properties must not exceed 50. Custom Filter: defines filters for the selected object properties.